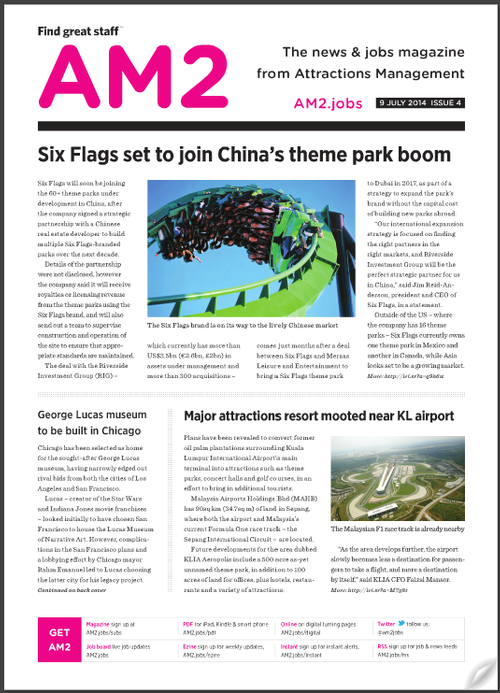 Attractions Management magazine is read by over 6,000 owners, operators, developers and investors in the international attractions, museums, theme park and entertainment industry. Attractions Management offers vibrant, informative and stimulating coverage of people and projects in these exciting markets. Attractions Management has been chosen as the official publication of a number of organisations and events in the worldwide attractions industry.